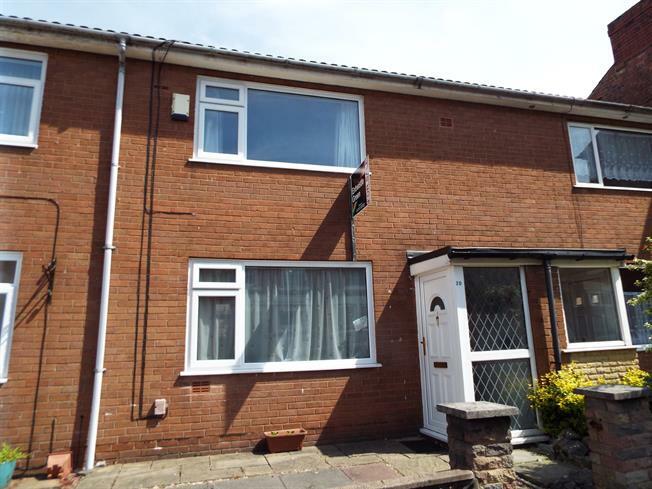 3 Bedroom Terraced House For Sale in Preston for Asking Price £115,000. This well presented three bedroom modern garden fronted terrace home is ideal for a first time buyer or young couple. The accommodation on offer briefly comprises of an entrance vestibule, spacious light and airy lounge, modern fitted kitchen, conservatory, three bedrooms, a first floor WC and a ground floor modern three piece bathroom suite. All this is complemented by gas central heating and double glazing. Externally, the property benefits from a low maintenance garden, two large sheds and a parking space for one car. View to appreciate..
UPVC double glazed entrance door. Double glazed uPVC window facing the front. Single glazed door into the lounge. Double glazed uPVC window facing the rear. Radiator, vinyl flooring, tiled splashbacks. Roll top work surface, fitted wall and base units, stainless steel sink with drainer, electric oven, gas hob, over hob extractor, space for washing machine, fridge/freezer. UPVC double glazed door. Double glazed uPVC window facing the rear. Laminate flooring. Double glazed uPVC window with frosted glass facing the rear. Radiator, vinyl flooring, part tiled walls. Low level WC, panelled bath, shower over bath, pedestal sink.